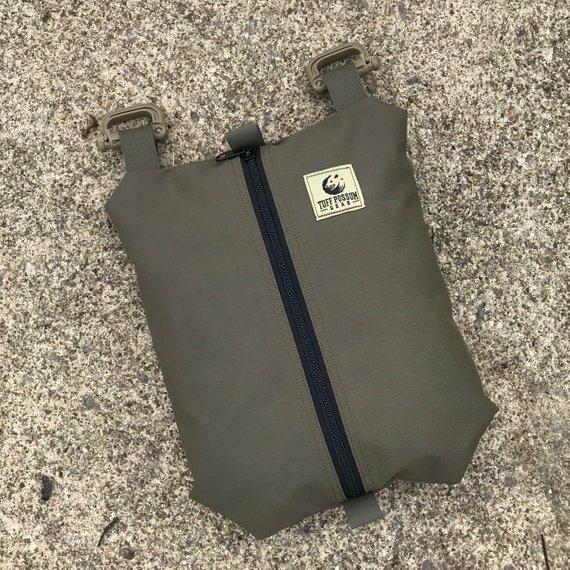 If you are looking for an easy way to add some capacity and organization to your Hill People Gear Tarahumara, check out the Tuff Possum Gear (TPG) Modified 10×12 Center-Zip Pouch. TPG’s Center-Zip Pouches were originally designed as general purpose pouches that could organize small gear in a large pack or serve as possibles pouches. 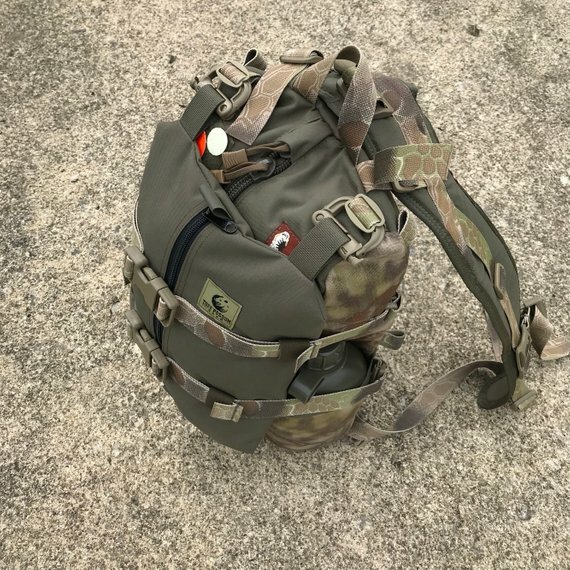 They posted a custom modification of one such pouch on their social media that was slightly larger than their typical Center-Zip Pouch and had the addition of 2 webbing loops with GrimLocs. These additions allowed the pouch to mate perfectly with the top loops of the Hill People Gear Tarahumara. The idea grew legs from there and now they offer these pouches regularly in small batches. The Modified 10×12 Center-Zip Pouch attaches to the top loops on the Tarahumara. It hangs down on the front of the pack and is captured with the Tarahumara’s compression straps. This configuration adds capacity while maintaining compression and allowing easy access to the main compartment by simply opening the compression straps and flipping the pouch up out of the way. Check out the Tuff Possum Gear Modified 10×12 Center-Zip Pouch on Etsy.